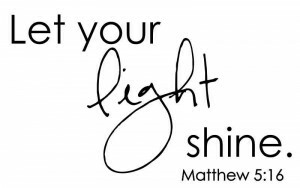 We are called to carry the light of righteousness. “Take no part in the unfruitful works of darkness but instead expose them.” Eph. 5:11. In my moments of grief, I pray for your consolation O Lord. In my moments of sorrow, I pray for your intervention. In my moments of loneliness, I pray for your company. In the same way, let your light shine before others, so that they may see your good works and give glory to your Father who is in heaven. Matt. 5:16. Dear Lord, with you by my side, I am not an orphan in this world. I pray that you will take me throughout the journey of life as my heavenly Father. I pray for favor in your eyes and divine guidance in everything I do. Help me conquer the fear to face the world and embrace every challenge with renewed strength and courage for as long as you are with me. Amen. – Daily Devotion. In the Gospel of Matthew Magi follow the Star from the East to Judea to visit the newborn child who will become King of the Jews. King Herod seeks advice then directs the Magi to Bethlehem. Herod asks the Magi to let him know where they find the child. After an angel visits the Magi informing them not to tell Herod of the Christ child, the Magi leave quietly without disclosing further information. Herod was distraught for he feared the prophecy of this new King. Not knowing the identity or location of the child, Herod orders his army to kill all boys in his kingdom two years of age and under. Jeremiah’s prophecy was fulfilled as Rachel wept for her young children. When Herod realized that he had been outwitted by the Magi, he was furious, and he gave orders to kill all the boys in Bethlehem and its vicinity who were two years old and under, in accordance with the time he had learned from the Magi. 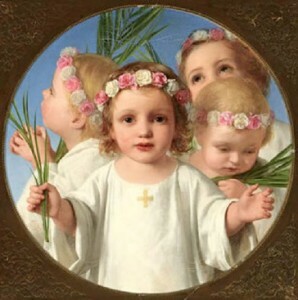 We remember today, O God, the slaughter of the holy innocents Of Bethlehem by King Herod. Receive, we pray, into the arms of your mercy all innocent victims; and by your great might frustrate the designs of evil tyrants and establish your rule of justice, love, and peace; through Jesus Christ our Lord, who lives and reigns with you and the Holy Spirit, one God, for ever and ever. Amen. Hear My Words O Gracious Lord (Innocents). (1850). we remember all who need our sustaining love. Hear our prayers for the church and the community in the world. Amen. Have stood for Thee in fire and strife. What may we do for Jesus’ sake? A weary war to wage with sin. And tears of passion in our eyes. And fight a battle for our Lord. And still do all for Jesus’ sake. That he may do for Jesus’ sake. We continue in our celebration of the Twelve Days of Christmas on our journey to Epiphany. The Prophet Isaiah is anointed with the Spirit. Isaiah means the Lord Saves. Isaiah continuously warns the unrepentant of impending judgement. Isaiah heralds a New Age and the Promise of Redemption. Isaiah tells us we will all be raised up to be Yahweh’s ministry people as priests, a concept traditionally meant for a special group. As many wait for this to happen believing it to be an event in time, we all should gather together to carry out the example of our Savior Jesus Christ and perform those good works daily that are pleasing to the Father. God is merciful and He forgives them who submit to Him. Psalm 148 brings us an ancient poetic call to praise. There is so much reference to nature and its laws that are within God’s command. This may result in our reflection on Christmas carols and their references to nature. As we praise God’s might and presence in our lives we turn our thoughts away from ourselves and toward Him. Luke reminds us of the Pauline testimony that Jewish tradition states the firstborn son belongs to the Lord in a special way. Fortunately for us Jesus will bear the curse of the cross to bring us salvation as believers. Luke brings us to understand that boy Jesus is on the path to redemption as He is dedicating Himself to God in the Temple. 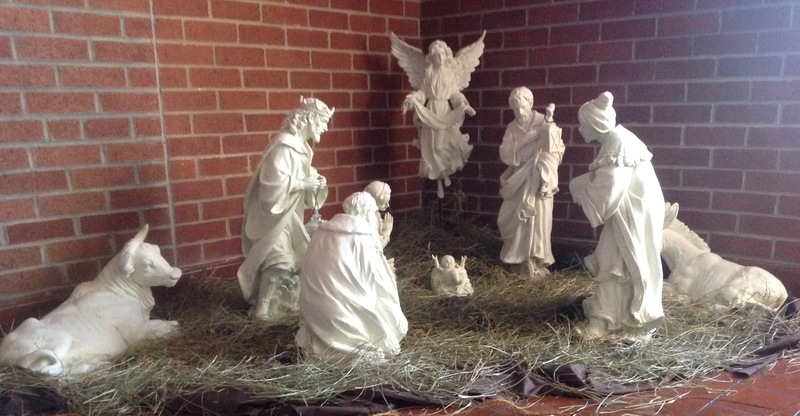 It is affirmed to us that in this Christmas season we celebrate the Incarnation of God in His Son, our Savior, Jesus. I will greatly rejoice in the Lord; my soul shall exult in my God, for he has clothed me with the garments of salvation; he has covered me with the robe of righteousness. Isaiah 61:10. Let them praise the name of the LORD, for his name alone is exalted; his glory is above earth and heaven. Ps. 148:13. God sent forth his Son, born of woman, born under the law, to redeem those who were under the law, so that we might receive adoption as sons. And because you are sons, God has sent the Spirit of his Son into our hearts, crying, “Abba! Father!” So you are no longer a slave, but a son, and if a son, then an heir through God. Gal. 4:4-7. After three days they found him in the temple, sitting among the teachers, listening to them and asking them questions. Luke 2:46. Mark Lowry and Buddy Greene (1991). performed by Pentatonix, a Capella. into the darkness of human night. and defenders of all for whom there is no room. Amen. performed by Joslin Grove Choral Society. and gave us power to be your children. and walk in the way of peace. Amen. in the coming of Jesus Christ our Lord. Amen. poem by Pr. Edmund Sears. (1849). performed by Dana Point Music. From our mother’s womb you have known us, O God. and seek us even when we wander. It is a Great Year! We Look Forward to the New Year. We have Faith and Hope that this New Year will Bring You Love and Joy in All that Concerns You! Our Wish for Your Happiness and Peace is in Our Prayers! 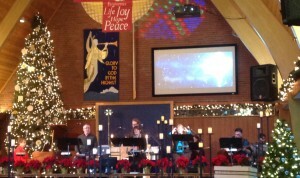 Peace & Joy! Michael, Cathy and the Spirit of Peace Missional Community. Isaiah recognizes the challenges in life experiencing the destruction brought on by war, poverty and social unrest. These events are recorded in biblical times; modern versions are still with us today. Isaiah states the need for faith and hope as he foretells the promise of future celebration. Light will replace darkness. Oppression will be removed. The people will realize new birth and opportunities. A child will be born who will lead people to salvation, knowledge, freedom and celebration. Psalm 96 summons all to acknowledge the reign of our Lord over all the heavens and the world as we know it. Not only do we acknowledge that our Creator God is Lord of all, but also that the Christ Child is our Savior. Our Lord reigns in justice for everyone everywhere for all time. Paul’s letter to Titus tells us the grace of our Lord is there for and brings salvation to all. The knowledge, understanding and accomplishment of birth, death and resurrection are wrapped up in the grace that Christ brings us. Luke offers believers assurance and a challenge. Luke assures us that God is working to make the world a place blessed by Jesus. We must enlarge our vision of God’s purposes, and join the movement where the Lord leads us to a renewed world. 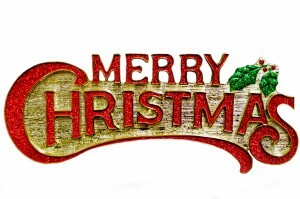 For a child has been born for us, a son given to us; authority rests upon his shoulders; and he is named Wonderful Counselor, Mighty God, Everlasting Father, Prince of Peace. Isaiah 9:6. Ascribe to the LORD the glory due his name; bring an offering, and come into his courts. Ps. 96:8. For the grace of God has appeared, bringing salvation to all. Titus 2:11. The angel said to them, “Do not be afraid; for see, I am bringing you good news of great joy for all the people: to you is born this day in the city of David a Savior, who is the Messiah, the Lord. Luke 2:10-11.
and eternity entered time in the child of Bethlehem. in praising the coming of Jesus Christ, our Savior. Amen. With the angels of heaven we proclaim your glory, O God. for your church on behalf of the whole world. for he is our Lord for ever and ever. Amen. shattered the power of darkness. Enjoy an educational Scriptural adventure where we will participate, present and learn about the history, community and Biblical Times where our Lord and Savior Jesus Christ was born. Feel free to dress in costume as a person might in Bethlehem on the night our Lord was born. In this fourth Sunday of Advent we engage the final week of Advent preparation to worship our Lord as we celebrate his presence among us at Christmas. Like Mary we should consider ourselves blessed (joyful) as we engage reflection in the Faith Hope Love and Joy (Fruits of the Holy Spirit) that will bring us Peace that surpasses all human understanding and prepare ourselves for His presence in our lives this coming year. The Magnificat is Mary’s song of praise to the Lord. Although her sacrifice will be great as mother to Jesus, she has genuinely experienced Faith and Hope in the engagement of a big commitment and is overwhelmed with Love and Joy. In Hebrews we see that Jesus is the High Priest that is obedient to the Father. Jesus as man is a living example of how we should aspire to engage obedience to the Lord in our earthly lives. As Elizabeth and Mary did, let us trust that God is coming to save and free us. May we be grateful that God has taken away our feelings of shame and inadequacy. May we respond to God’s love by welcoming the shameful and insecure. May we become a community that supports each other as we have Faith Hope and look forward to the experience that Love and Joy bring us in Peace with our lives. They shall live secure, for now he shall be great to the ends of the earth; and he shall be the one of peace. Micah 5:4-5. Restore us, O God of hosts; let your face shine, that we may be saved. Psalm 80:7. It is by God’s will that we have been sanctified through the offering of the body of Jesus Christ once for all. Hebrews 10:10. 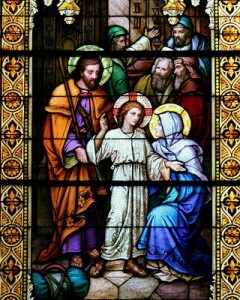 When Elizabeth heard Mary’s greeting, the child leaped in her womb. Elizabeth was filled with the Holy Spirit and exclaimed with a loud cry, “Blessed are you among women, and blessed is the fruit of your womb. Luke 1:41-2.
in the coming of the Savior. and welcome the Christ in our midst. Amen. let us pray for the needs of the church, our community, and the world. who was promised from ages past. confident of your care and mercy for all creation. Amen. Jesus Christ was born today. who came to love your flock. Amen. Blessings in Song Christmas Caroling for the Community as Spirit of Peace Brings Reflection Upon This Last Year and Christmas Caroling to the People in Care Centers and the Homebound. May the Lord Bring Abundant Blessings to You! Peace and Joy! Pastors Michael and Cathy Hanus. Spirit of Peace. 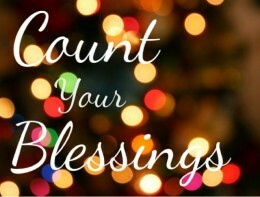 Yes, there is an abundance of blessing that rains down upon us when we share in Jesus with the community. The letting go of that Christian love that lives within us warms the hearts of those around us. Living by example is far more effective in Missional outreach. Those people we want to engage feel moved to join in and contribute their energy and find satisfaction in community support. What a great time to share in and enjoy the gifts of the Holy Spirit! We have a Food Drive opportunity coming up this Saturday December 19th starting at 9:00 am. Flash Gathering and Traditional Style Christmas Caroling in the Community! 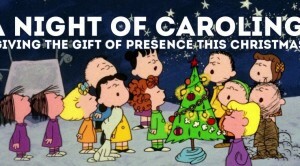 Please Contact Michael or Cathy for … Christmas Caroling Request or Interest in Singing as You have time.